Chelsea have reportedly had a bid accepted by Roma as they edge ever closer to sealing the double transfer of Edin Dzeko and Emerson Palmieri. According to the Guardian, the Blues will pay £44million plus add-ons worth a potential £57.2m for the Stadio Olimpico pair in what looks a superb piece of business. 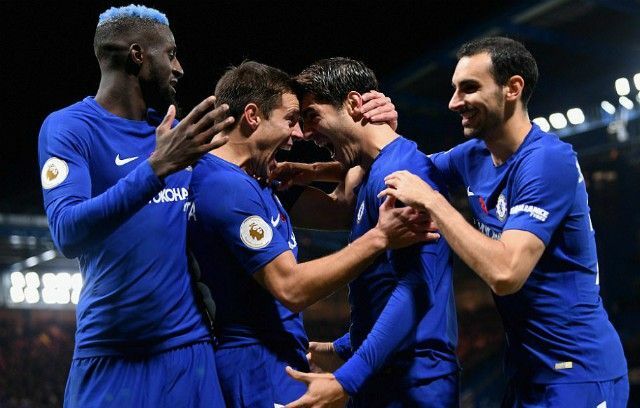 This is a timely boost for Chelsea after their Carabao Cup semi-final defeat to Arsenal last night that sees their recent poor run of form continue. The Premier League champions have won just once in their last six games, not including a penalty shoot-out victory over Championship side Norwich City in the FA Cup. The arrivals of Dzeko and Emerson should solve two key issues in Antonio Conte’s squad for the second half of the season, though they’ve arguably come just a little late as the Italian sees his side drop out of the League Cup. The Premier League is already out of sight for Chelsea, so they could certainly have done with the boost of a domestic cup in the bag by the end of next month to give them a boost in the final stages of the campaign. Regardless, Blues fans will be pleased to see an upgrade on Michy Batshuayi coming in up front, with Dzeko a proven Premier League striker and in impressive form in his time in Serie A.
Emerson also provides backup to Marcos Alonso, who has had to play a lot of games in a demanding role since moving to Stamford Bridge last season.